That's been his theme throughout all eternity. "Take me. Punish me. Let them go." I had to write the blog post with all five quints, plus a friend of theirs from next door, plus three extra boys (Isaac's friends) in the house. It was a happy, chaotic mess! 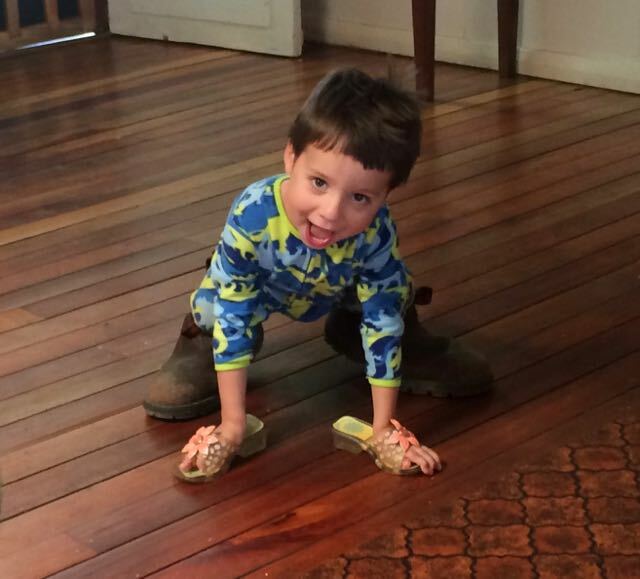 Will being a "lion," although how he achieves that with a pair of girl's dress-up high heels and his daddy's boots beats me!